Наталья Александровна Демидова - кафедра факультетской терапии им. акад. А.И. Нестерова. 1. Секреты ревматологии. Под ред. С.Дж. Уэста; пер. с англ. под ред. О.М. Лесняк. М.: ГЭОТАР-Медиа 2018. 760 с. 2. Бочкова А.Г. Рекомендации по ведению больных анкилозирующим спондилитом. По материалам Международной рабочей группы по изучению анкилозирующего спондилита (ASAS – Assesment Ankylosing Spondylitis Work Group). Современная ревматология 2009;(4):5–10. 3. Волнухин Е.В., Галушко Е.А., Бочко- ва А.Г. и др. Клиническое многообразие анкилозирующего спондилита в реальной практике врача-ревматолога в России. Ч. 1. Научно-прак- тическая ревматология 2012;51(2):44–9..
4. Boonen A., Cruyssen B.V., de Vlam K. et al. Spinal radiographic changes in ankylosing spondylitis: association with clinical characteristics and functional outcome. J Rheumatol 2009;36(6): 1249–55. 5. Miedany Y.E. Treat to target in spondyloarthritis: the time has come. Curr Rheumatol Rev 2015;10(2):87–93. 6. Rohekar S., Chan J., Tse S.M. et al. 2014 Update of the Canadian Rheumatology Association/Spondyloarthritis research consortium of Canada treatment recommendations for the management of spondyloarthritis. Part I: principles of the management of spondyloarthritis in Canada. J Rheumatol 2015;42(4):654–64. 7. Callhoff J., Sieper J., Weiβ A. et al. Efficacy of TNFα blockers in patients with ankylosing spondylitis and non-radiographic axial spondyloarthritis: a meta-analysis. Ann Rheum Dis 2015;74(6):1241–8. 8. Ward M.M. Update on the American College of Rheumatology/Spondyloarthritis Research and Treatment Network/Spondylitis Association of America axial spondyloarhtritis treatment guidelines project. Clin Rheumatol 2014;33(6):739–40. 9. Гайдукова И.З., Ребров А.П., Оттева Э.Н. и др. Применение нестероидных противовоспалительных препаратов для лечения аксиальных спондилоартритов, включая анкилозирующий спондилит, мониторинг эффективности и безопасности (проект рекомендаций группы экспертов по диагностике и лечению спондилоартритов). Научно-практическая ревматология 2016;54 (Прил. 1):67–74. 10. Yan Y., Guo TM. Zhu C. Effects of NonSteroidal Anti-Inflammatory Drugs on Serum Proinflammatory Cytokines in the Treatment of Ankylosing Spondylitis. Biochem Cell Biol 2018 Jan 11. DOI: 10.1139/bcb-2017-0267. 11. Wanders A., van der Heijde D., Landewe R. et al. Nonsteroidal anti-inflammatory drugs reduce radiographic progression in patients with ankylosing spondylitis: a randomized clinical trial. Arthritis Rheum 2005;52(6):1756–65. 12. Varkas G., Jans L., Cypers H. et al. Brief Report: Six-Week Treatment of Axial Spondyloarthritis Patients With an Optimal Dose of Nonsteroidal Antiinflammatory Drugs: Early Response to Treatment in Signal Intensity on Magnetic Resonance Imaging of the Sacroiliac Joints. Arthritis Rheumatol 2016;68(3):672–8. 13. Sampaio-Barros P.D., Costallat L.T., Bertolo M.B. et al. Methotrexate in the treatment of ankylosing spondylitis. Scand J Rheumatol 2000;29(3):160–2. 14. Lian F., Zhou J., Wei C. et al. Anti-TNFα agents and methotrexate in spondyloarthritis related uveitis in a Chinese population. Clin Rheumatol 2015;34(11): 1913–20. 15. Carbo M.J.G., Spoorenberg A., Maas F. et al. Ankylosing spondylitis disease activity score is related to NSAID use, especially in patients treated with TNFα inhibitors. PLoS One 2018;13(4):e0196281. 16. Kiltz U., Sieper J., Braun J. ASAS recommendations on the use of TNF inhibitors for patients with axial spondyloarthritis: evaluation of the 2010 update in the German-speaking area. J Rheumatol 2013;72(1):81–8. 17. Wang R., Dasgupta A., Ward M.M. Comparative efficacy of non-steroidal anti-inflammatory drugs in ankylosing spondylitis: a Bayesian network meta-analysis of clinical trials. Ann Rheum Dis 2016;75(6):1152–60. 18. Ward M.M., Deodhar A., Akl E.A. et al. American College of Rheumatology/ Spondylitis Association of America/Spondyloarthritis Research and Treatment Network 2015 Recommendations for the Treatment of Ankylosing Spondylitis and Nonradiographic Axial Spondyloarthritis. Arthritis Rheumatol 2016;68:282–98. 19. Braun J., Kiltz U., Sarholz M. et al. Monitoring ankylosing spondylitis: clinically useful markers and prediction of clinical outcomes. Expert Rev Clin Immunol 2015;11(8):935–46. 20. Singh G., Lanes S., Triadafilopoulos G. Risk of serious upper gastrointestinal and cardiovascular tromboembolic complications with meloxicam. Am J Med 2004;117(2):100–6. 21. Chan F.K., Lanas A., Scheiman J.et al. Celecoxib versus omeprazole and diclofenac in patients with osteoarthritis and rheumatoid arthritis (CONDOR): a randomised trial. Lancet 2010;376(9736):173–9. 22. Каратеев А.Е., Насонов Е.Л., Яхно Н.Н. и др. Клинические рекомендации «Рациональное применение нестероидных противовоспалительных препаратов (НПВП) в клинической практике». Современная ревматология 2015;(1):4–23. 23. Derry S., Moore R.A., Rabbie R. Topical NSAIDs for chronic muscoloskeletal pain in adults. Cochrane Database Syst Rev 2012;9:CD007400. 24. Tielleman T., Bujanda D., Cryer B. Epidemiology and risk factors for upper gastrointestinal bleeding. Gastrointest Endosc Clin N Am 2015;25(3):415–28. 25. Niwa Y., Nakamura M., Ohmiya N. et al. Efficacy of rebamipide for diclofenac induced small-intestinal mucosal injuries in healthy subjects: a prospective, randomized, double-blinded, placebo-controlled, crossover study. J Gastroenterol 2008;43(4):270–6. 26. Мороз Е.В., Каратеев А.Е. Ребамипид: эффективная медикаментозная профилактика НПВП-энтеропатии возможна. Современная ревматология 2016;10(4):97–105. 27. Насонов Е.Л. Кардиоваскулярные эффекты нестероидных противовоспалительных препаратов. Научно-практическая ревматология 2003;41(3):28–32. [Nasonov E.L. Cardiovascular effects of nonsteroidal anti-inflammatory drugs. 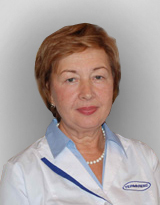 Nauchno-prakticheskaya revmatologiya = Rheumatology Science and Practice 2003;41(3):28–32. (In Russ.)]. 28. Xie R.L., Li X.H., Kang X.T. Methotrexate in conjunction with meloxicam for treating ankylosing spondylitis: a clinical observation of the efficacy and safety. Di Yi Jun Yi Da Xue Xue Bao 2003;23(5):460–2. 29. Каратеев А.Е., Эрдес Ш.Ф. Применение нестероидных противовоспалительных препаратов при анкилозирующем спондилите: долго и упорно! Терапевтический архив 2014;86(11):123–7. 30. Wendling D., Lukas C., Paccou J. et al. Recommendations of the French Society for Rheumatology (SFR) on the every day management of patients with spondyloarthritis. Joint Bone Spine 2014;81(1):6–14.